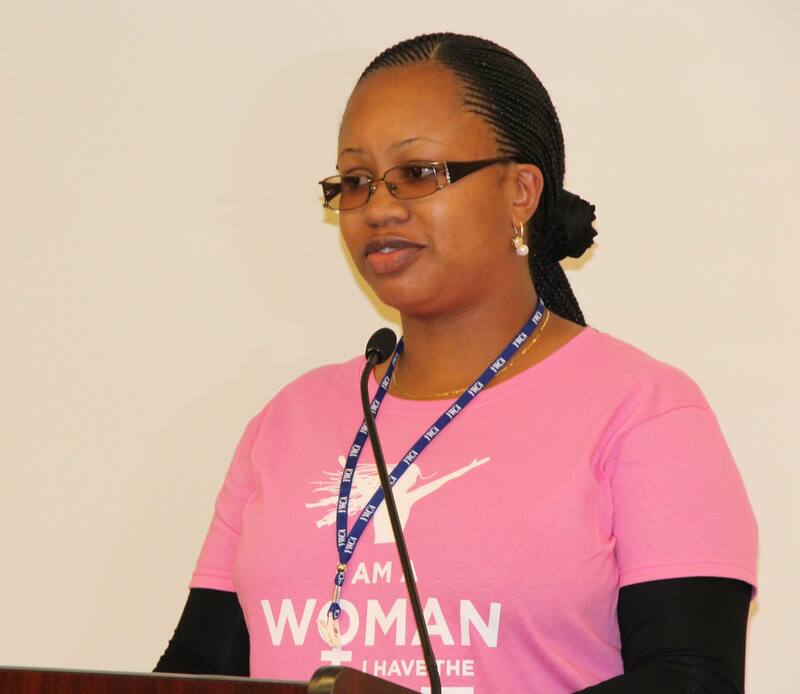 Neema Landey is from the YWCA of Tanzania. Neema shares her experience and appreciation of the opportunity to participate and represent young African women during CSW57. My experience during Commission on the Status of women it was a tremendous since it was my first time to attend CSW and also my first time to visit New York, I really want to extend my gratitude of thanks to the World YWCA office for giving me such amazing opportunity to be one of the short interns for this year this is not only for Tanzanian young women but it’s an opportunity to all young women in Africa thank you so much for your support and encouragement. The theme of this CSW was eliminating violence against women and girls, it was not a new word to me since we have an advocacy programme which aims on ending all forms of violence against women and harmful traditional practices which violate women’s rights and their dignity. This opportunity to participate in CSW provided the chance to explore skills and knowledge on how to advocate for young women and girl’s rights, especially in my own community. We had a wonderful time during CSW where we attended the Cecilia Koo advocacy training and learnt, how to lobby with our governments and it was really successfully since I was able to meet our Minister of Gender whom introduced me to the Tanzanian delegation. Also we launched the” Future Young Women Want” and I shared the future African young women want document which was revised when we convened in Addis during African Union Summit. I also had the opportunity to attend trainings organised by YWCA with our partners the Population Council, the CEDAW training which was a new terminology to me but I got a clear understanding of CEDAW and I promise to share this with other young women and we shared different best practices of working with adolescent girls from Africa to Asia during the population Council training. Indeed, YWCA has been able to bring the leadership of young women onboard by giving them chance to explore and exercise leadership within the organisation. Wow, you really have learned a lot hey! I am more interested in the best practices shared on working with adolescent girls, you will agree with me that its a challenge within our communities . CSW is a great platform to participate in, and one can really learn a lot, I wish you well as you now start implementing and engaging other young women in discussion around VAW issues. continue the good work.